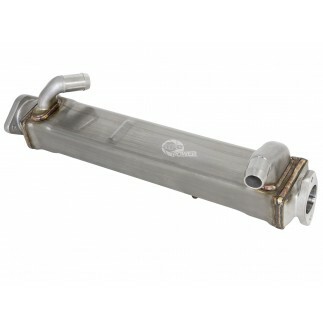 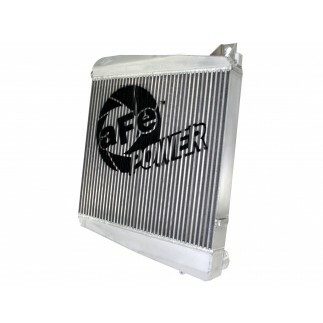 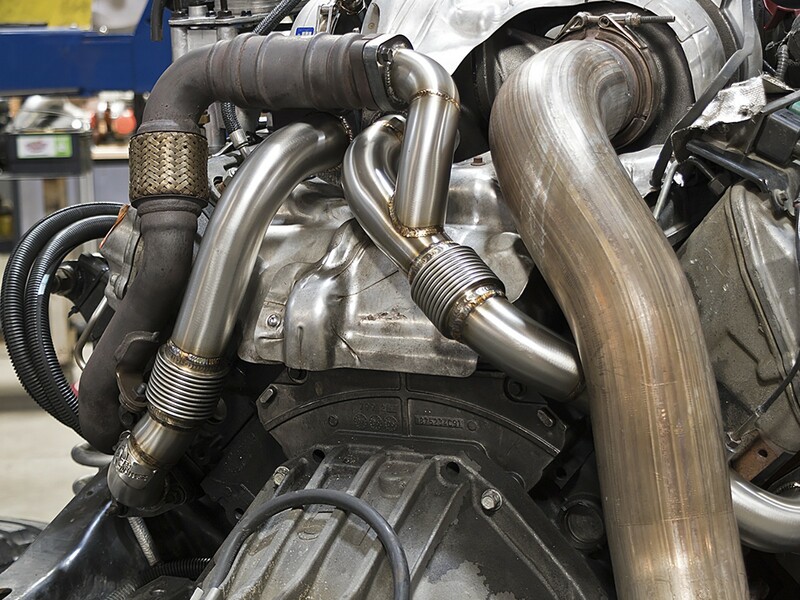 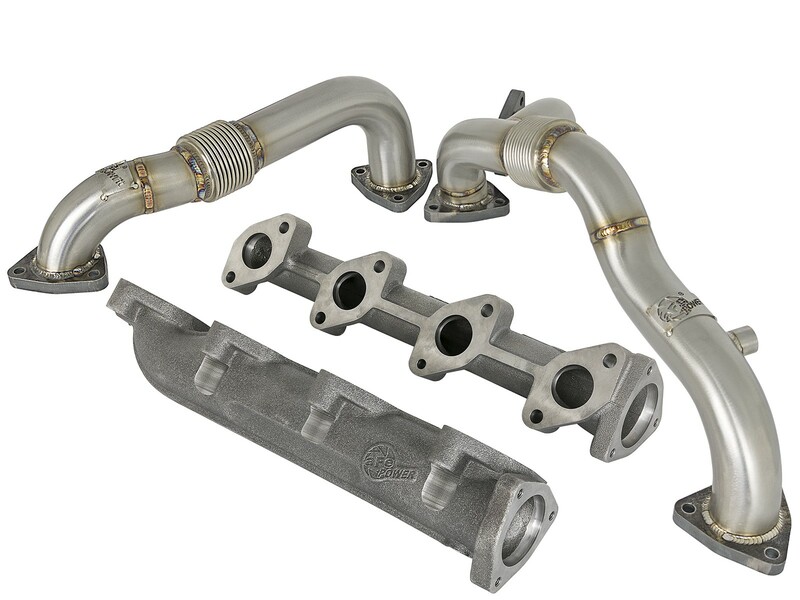 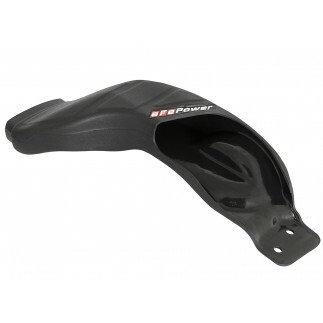 Bolt on diesel power with aFe’s BladeRunner exhaust manifolds and up-pipe package for your 08-10 6.4L Powerstroke. 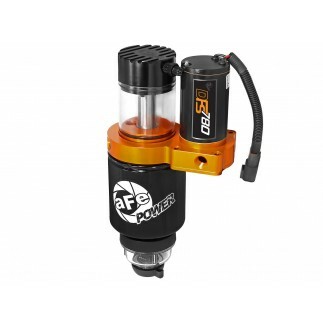 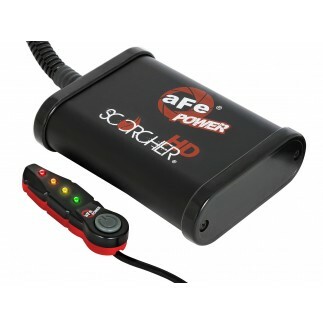 This combo package reduces pressure loss to your turbocharger for increased performance and improve throttle response and is compatible with all factory equipment including AC lines, heat shields, sensors and EGR cooler. 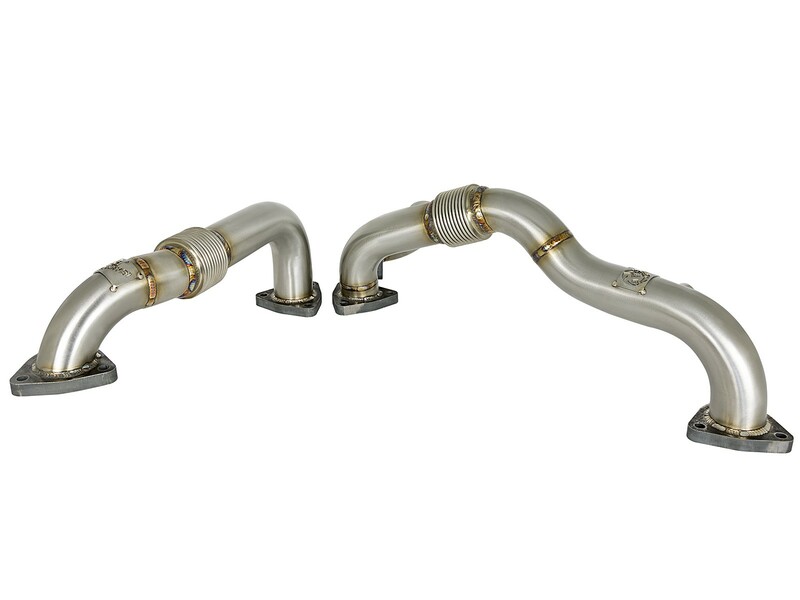 It includes up-pipes constructed out of heavy .120 wall 304 Stainless Steel tubing for maximum flow and excellent corrosion resistance. 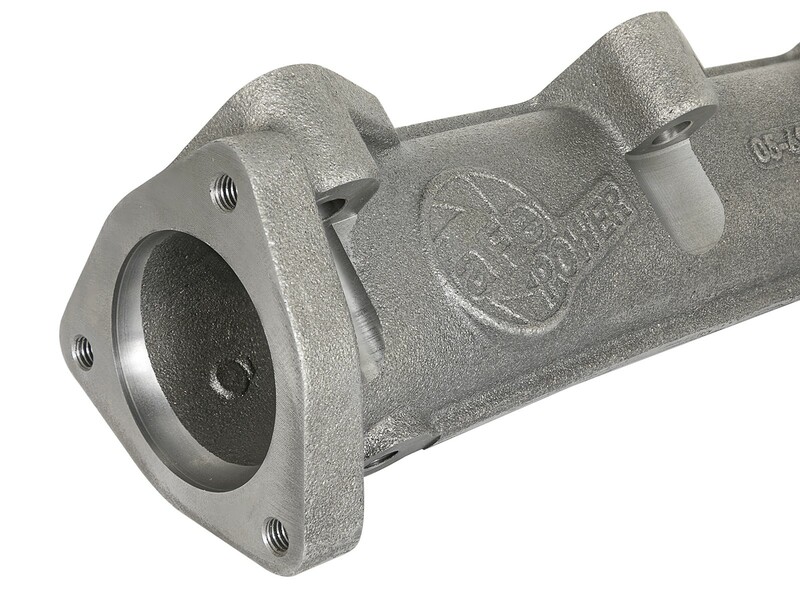 Heavy-duty 3/8” laser-cut flanges provide constant sealing to maximize turbocharger performance. 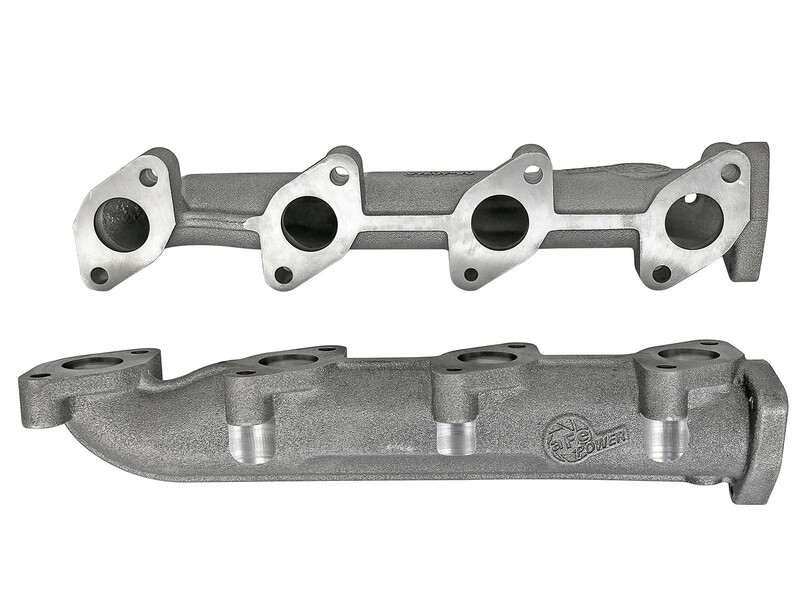 These manifolds have both the inlet and the outlet ports CNC machined to match the factory ports. 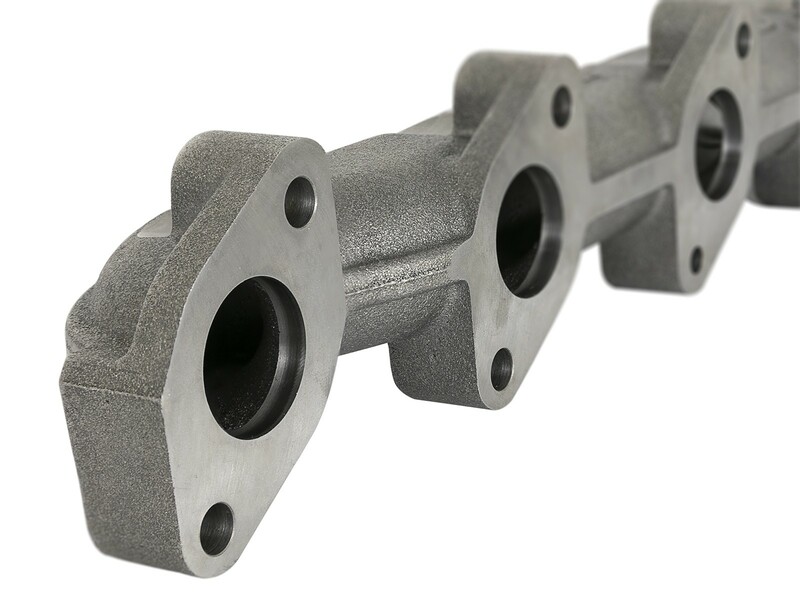 This allows for maximum flow, without compromising the integrity of gasket sealing for a leak-free seal. 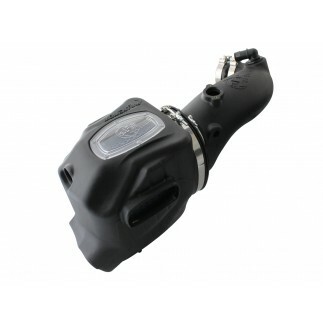 An Exhaust Gas Temperature (EGT) port is incorporated into each manifold for easy installation of gauges or testing equipment. 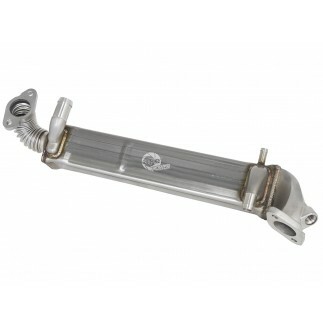 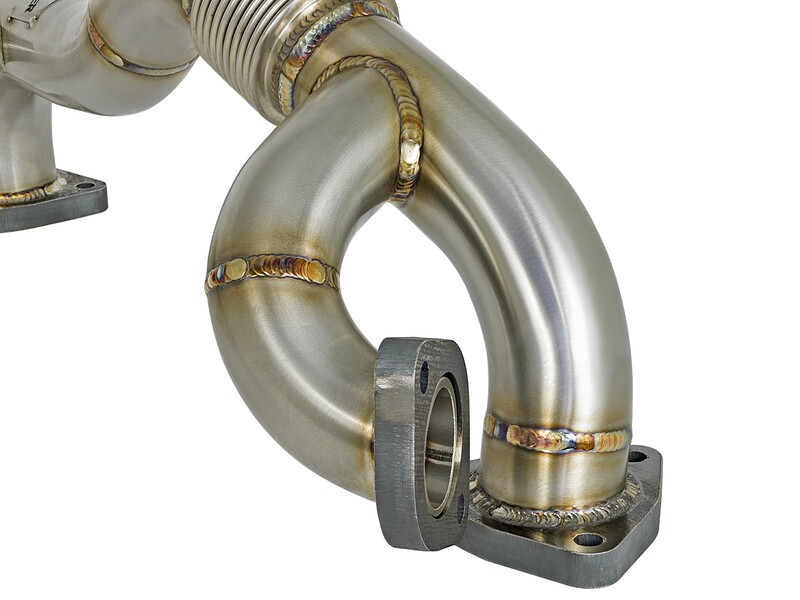 The 304 stainless steel up-pipes utilize heavy duty 2" flex tubes with internal inner liner that protects the flex pipes from distortion during high-boost, high EGT situations. 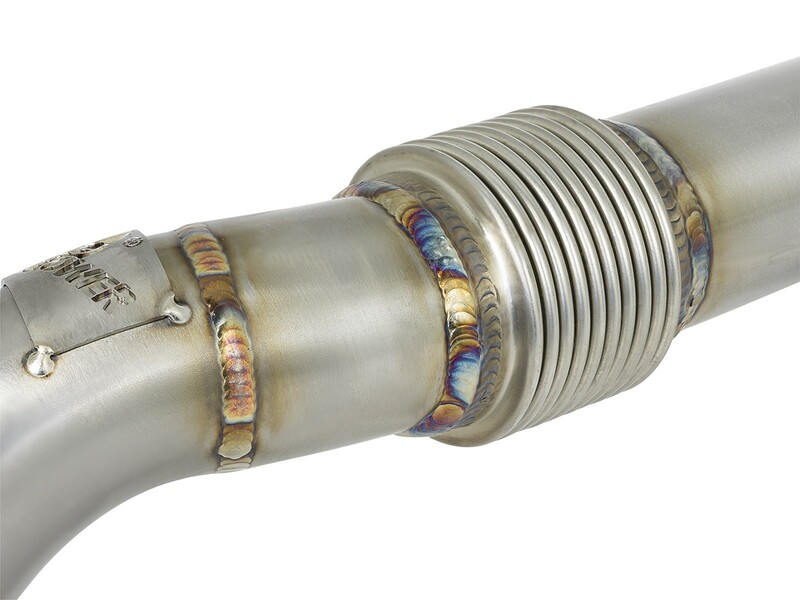 High quality 3/8" thick flanges are used for a complete 360-degree sealing surface.